This is one of the easiest desserts you will ever make. 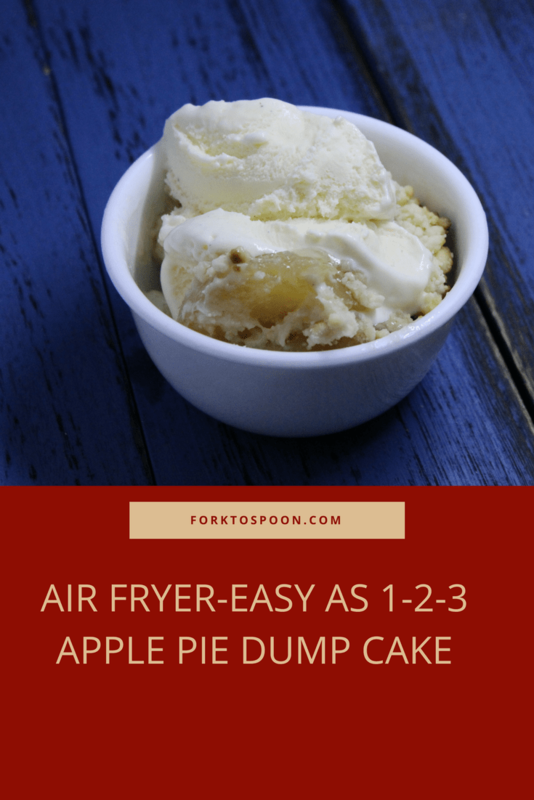 It’s so easy, it’s called a dump cake because all you do is dump the ingredients into a pan, and cook the ingredients, in the end, you will have an amazingly easy and tasty dessert. I have always been a fan of dump cakes, mostly because I am not a great baker. I think it’s the exactness of the measuring, whereas I’m usually I’ll try this, then this etc., in baking you need measurements to be exact, or they don’t turn out well. Hence, my love for playing around with prepared ingredients. One of the greatest ways to come up with any dessert is to see what you have in your pantry and go from there. The other day, I noticed that I had an unopened box of cake mix and a can of apple pie filling, and I started to think, what could I make. So, I sort of thought that if I mixed the two, I could get a dessert, so I made it and to my surprise, it came out sort of awesome. My kids were amazed that you could mix two unrelated things together and come up with a dessert, they promptly wrote down cake mix on our shopping list. Dump cakes are great for a number of reasons, mostly because they are easy, they taste amazing, and you can keep the two ingredients in your house, and if you need a sudden dessert for company, you can just whip it up. The hardest thing besides waiting is melting the butter, so grab your small saucepan or microwaveable dish and melt away. As, always, I hope you and yours enjoy! 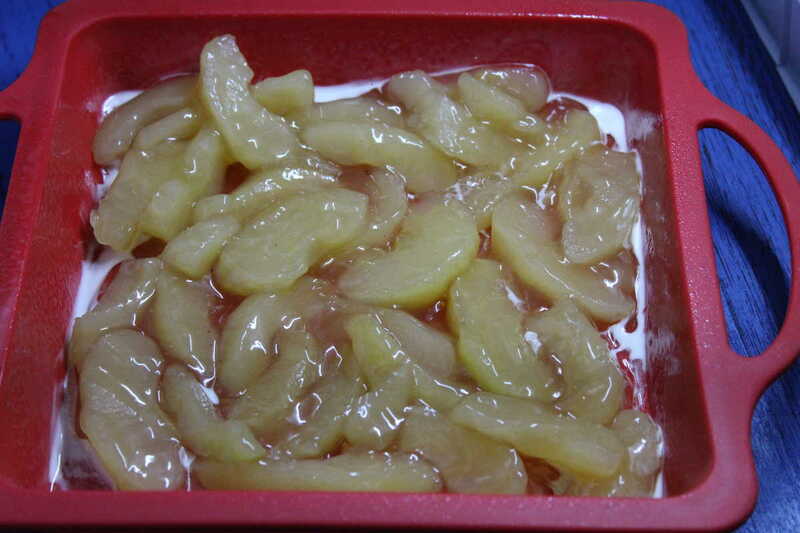 Start by laying out the apples on the bottom of the air fryer safe pan. 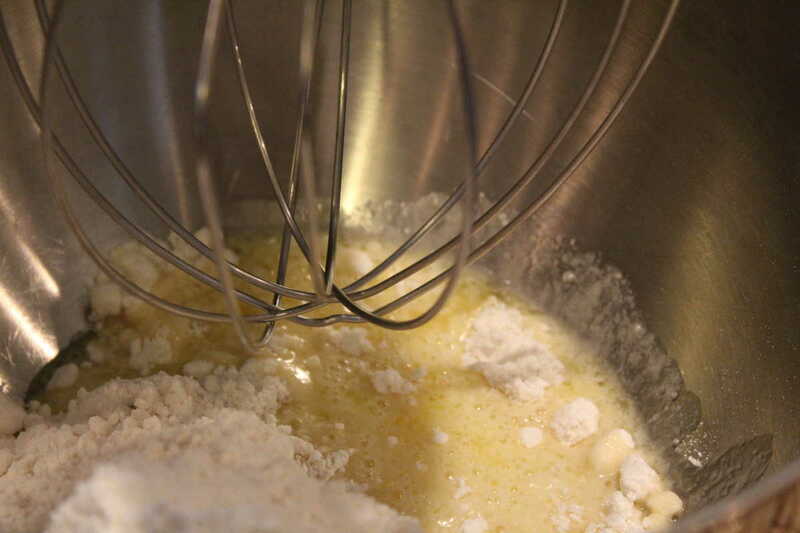 Then in a mixer, mix together the cake mix and the melted butter. 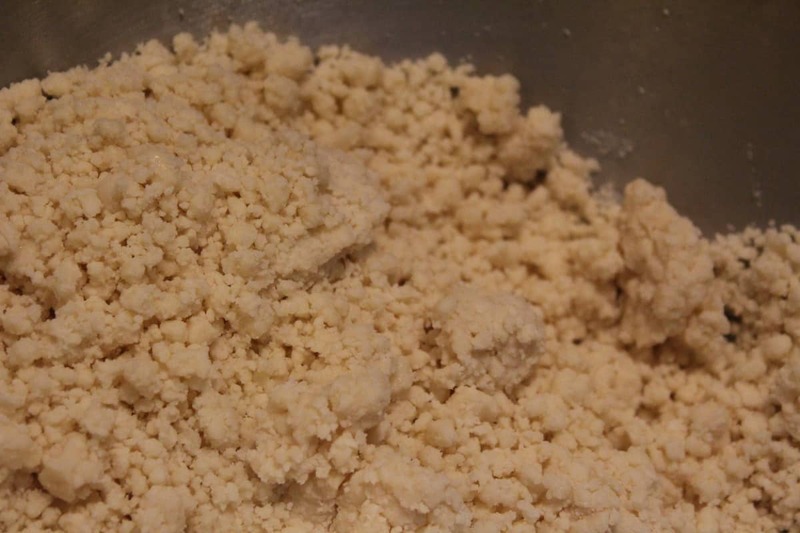 When completely mixed, you will get a crumbly dough. Spread on top, and then follow the rest of the directions as the recipe. 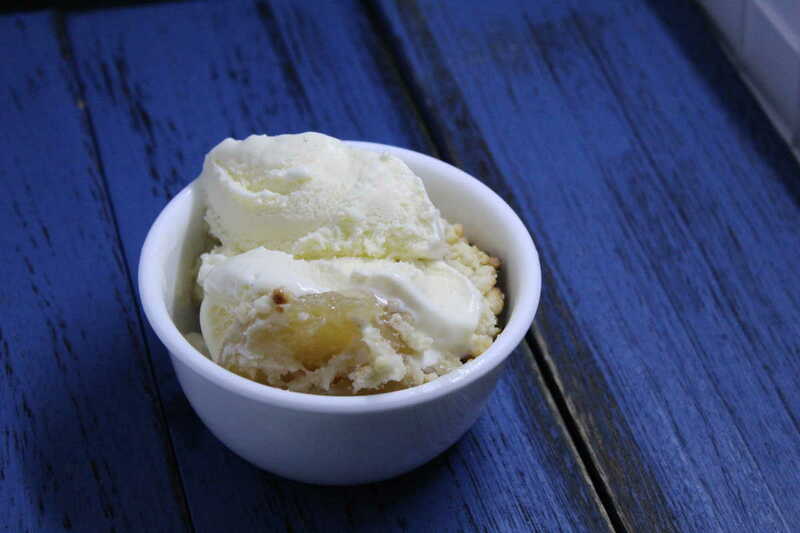 Scoop and serve ice cream on top for a great dessert. 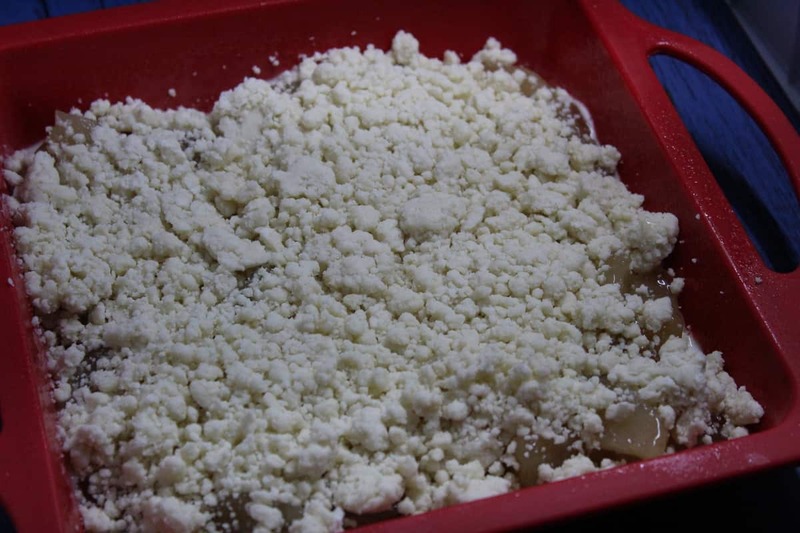 Start by adding your butter to a small saucepan or microwavable dish, and melt the butter. 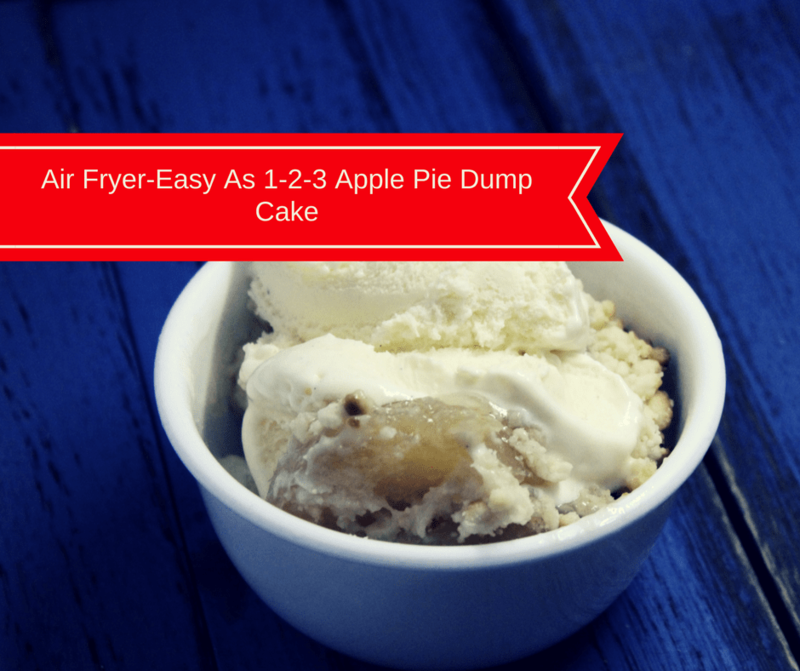 Then in an air fryer safe pan, dump the apple pie filling on the bottom of it. Then in a small mixing bowl, mix together the cake mix and melted butter, and mix well. Then pour the cake mix over the top of the apple pie filling and flatten it out with a spatula. Plate your cake pan into your air fryer basket, and set the temperature to 320 degrees F, for 20 minutes. After the 20 minutes are up, check your cake, and see if it is done. If it not fully set, add 5 minutes, and air fry again. Keep on checking and adding time, until your cake is fully cooked. **Note: The exact time for each air fryer is different, as it depends on the wattage, the air fryer and the thickness of the cake. I was able to make 2 8x8 cakes with this recipe.